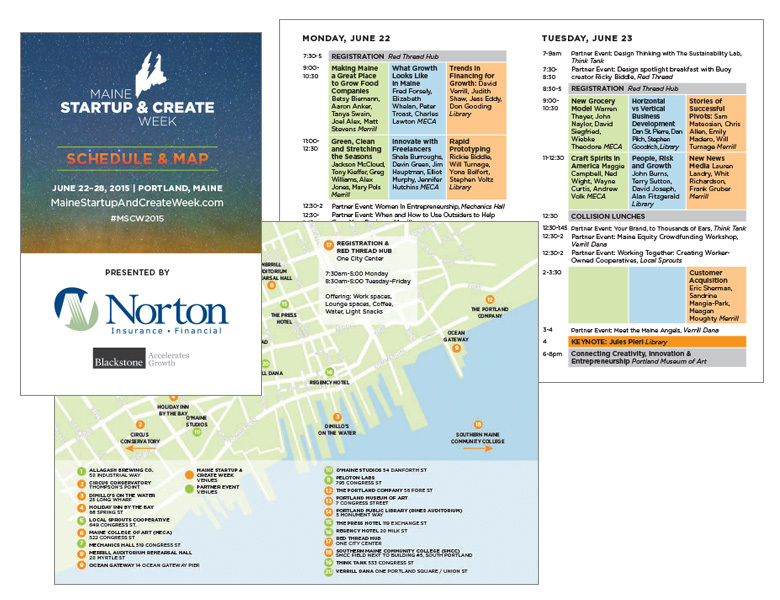 Maine Startup and Create Week is organized and produced by a large team of volunteers. We worked as a key member of the marketing team to develop the branding, key messages and all print-based graphics, ads and marketing materials for the 2015 event. 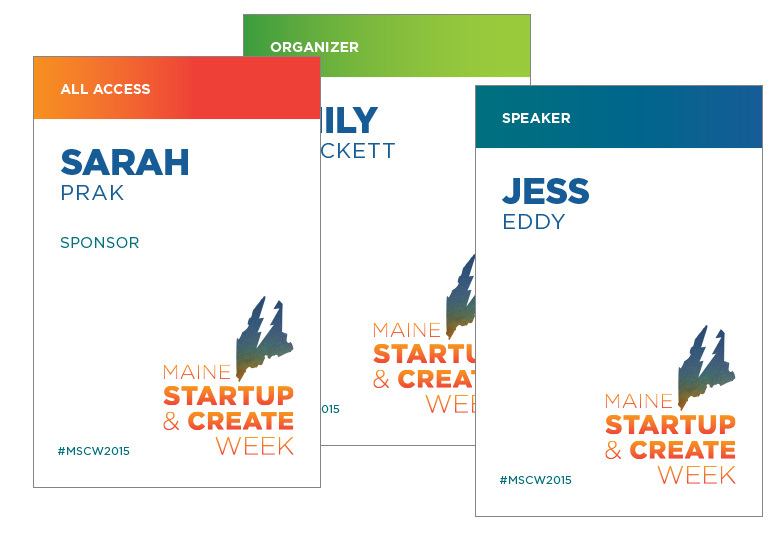 Visible Logic created all the signage for Maine Startup and Create Week. Over hundred in total. 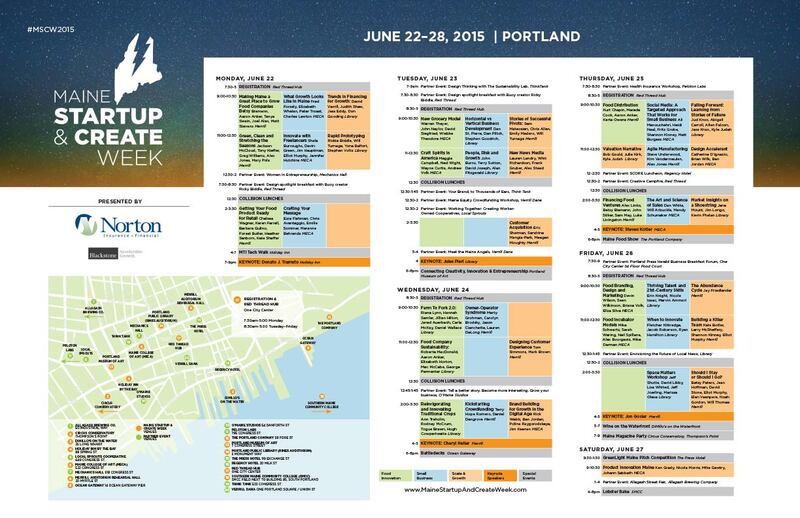 Printed booklet for attendees that included a schedule and map. This large scale schedule and map was used in signage an in advertising. Badges for attendees, volunteers, speakers and sponsors.